The British Virgin Islands athletics family and the wider community came to grips with the death of Kyron McMaster’s coach Dag Samuels, during the impact of Hurricane Irma that destroyed numerous structures across the territory, on Sept 6. Samuels, 55, who guided McMaster to the fastest time run in the world this season over 400m Hurdles of 47.80 seconds, is the territory’s Chief Coach and also heads the Fast Lane Track Club, returned to the territory on Aug 31, after his prized pupil won the International Association of Athletics Federation’s Diamond League 400m Hurdles in Zurich, Switzerland and finished second in his final race of the season on Zagreb, Croatia. Samuels, the reigning BVI Track and Field Coach of The Year, a former 400m runner who had been coaching for the last 38 years, died from injuries sustained while trying to do something on the upstairs of his house in the height of Hurricane Irma. He died after 1:00 p.m.
Samuels coached McMaster to a Central American and Caribbean Age Group Championships 11-12 Boys High Jump bronze medal in the Bahamas in 2009 and a 13-14 Boys High Jump silver when the championships were held here in 2011. 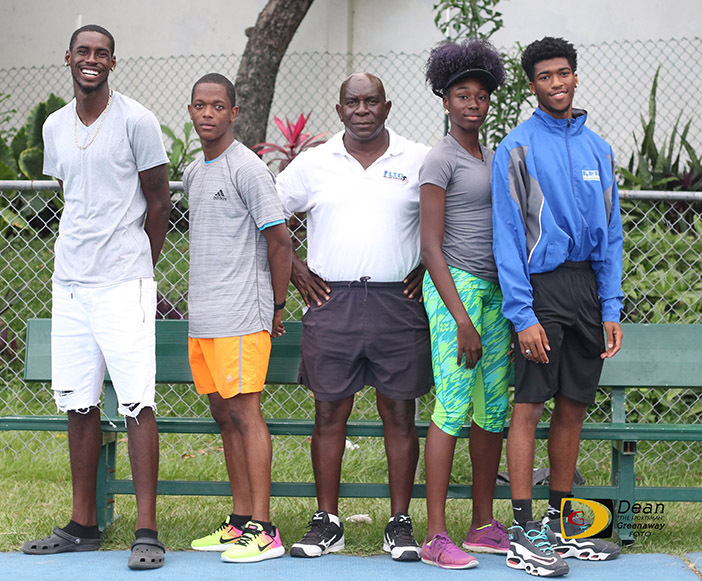 Under Samuels’ guidance, he won an U18 Boys 400m Hurdles bronze medal in Martinique in 2014 and qualified for the Youth Olympic Games that same year. McMaster won the territory’s first IAAF World Jr. Championships medal, a bronze in the 400m Hurdles in 2016. Lopez said Samuels was one of the region’s most outstanding coaches obtaining medals worldwide with his national athletes and has been standing out internationally for more than a decade. This he said is exemplified by Kyron McMaster producing a world leading time in the 400m Hurdles and winning the Diamond League final. Samuels manage the A. O. Shirley Recreation Grounds.